Celebrating the Yeovil family of ironmongers, Engineers, etc. On 22 September 1935 the Town Hall in High Street was destroyed by fire and, although the recently-built municipal offices in King George Street were available, the council decided that a new civic centre was called for. The following year the council purchased Hendford Manor and its extensive grounds with the intention of using the site for the proposed new civic complex (see sketch below). At this time South Street House, the former home and surgery of Dr Ptolemy Colmer, was demolished and Petters Way was constructed. 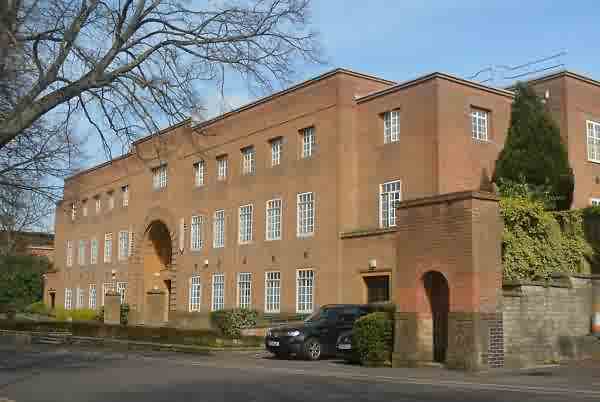 The Yeovil Law Courts was first of the new municipal buildings to be constructed and this opened in 1938. 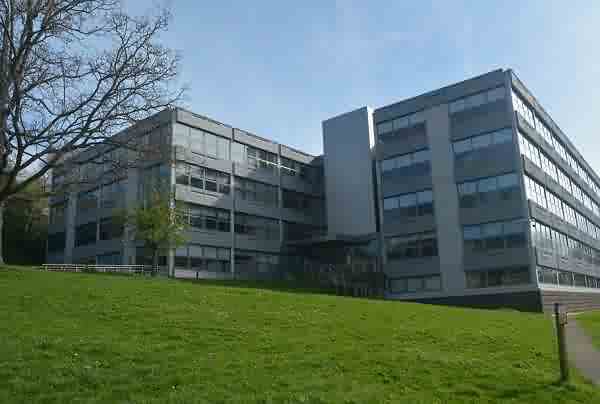 The start of the Second World War the following year brought an abrupt halt to the civic centre project and it wasn't until the construction of Maltravers House in 1969, to house County Council and government departments, that any further building work was carried out on the site. In 1948 a fund for Yeovil's civic hall was started. 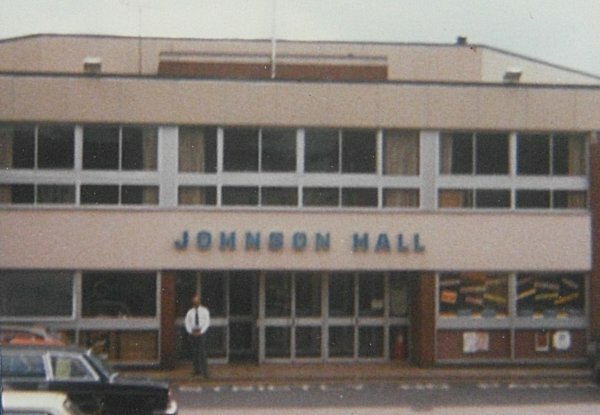 It was designed by Richard Hare of Salisbury in 1961 but building didn't finally start until 1972 and the Johnson Hall opened in 1974 as a multi-purpose civic hall at a cost of £150,000. In 1985 it was re-named as the Octagon Theatre. In 1987 the old toilets in Petters Way were demolished and Petters House was built. 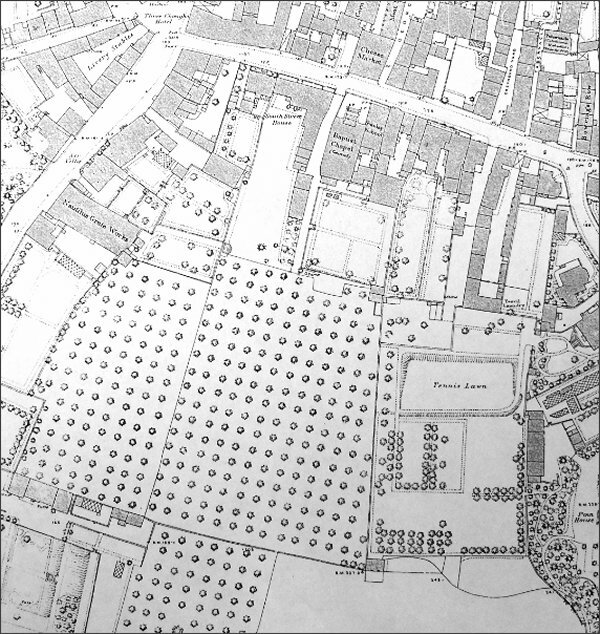 The 1886 Ordnance Survey map shows the extensive orchards now covered by Petters Way and the car park. At this time access was via a narrow track between South Street House and the Baptist chapel. 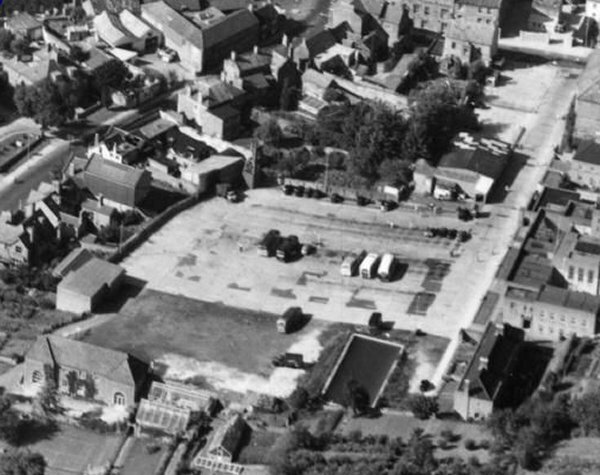 This aerial photograph dates to 1935 and shows Petters Way running across the photograph from South Street, at left, to the car park at right. 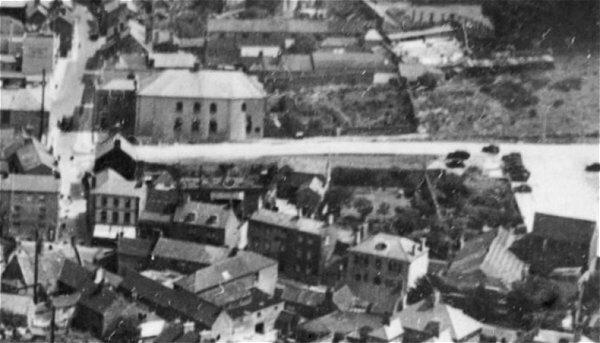 Buildings of note are - the Greyhound Inn at very top left, the Baptist church at top left, the Three Choughs Hotel at centre left edge with the junction of South Street with Hendford to its right. On the opposite corner the buildings running along the east side of Hendford (with their street elevations facing us) are Chudleigh's seed merchants, the small shop that had been John Chaffey's photographic studio (later the WI Market), next to the Butcher's Arms. Next is Flower's House and then Ayr Villa. 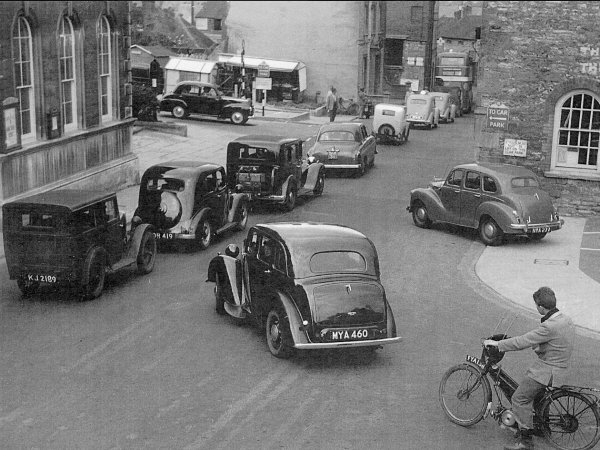 Note that in the top right hand corner is the field that the Yeovil Law Courts and Police Station would be built on three years later, in 1938. 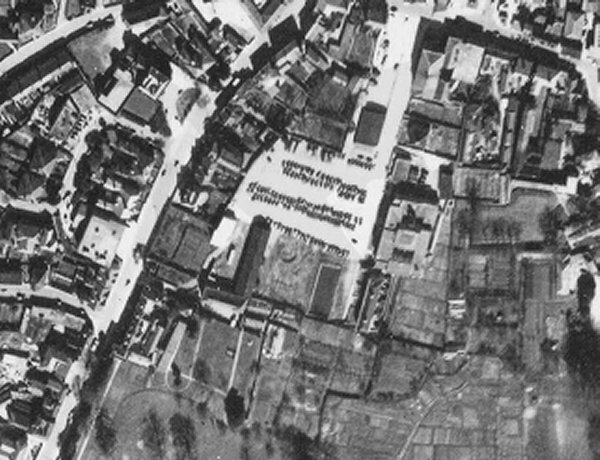 The 1946 aerial photograph shows Petters Way and its car park at centre. In 1950 car park charges were 6d per day or 12/6 per quarter (which rose to 15 shillings per quarter by 1962). The car park is much smaller than it is today and the law court buildings are seen at right of the car park. South Street runs across the top right corner and Hendford runs diagonally down the left side. 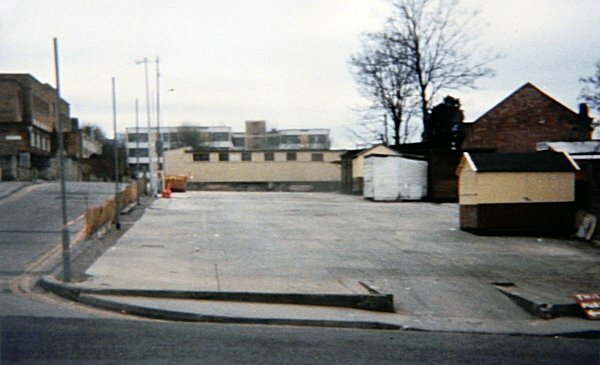 The dark rectangle at top right of the car park, next to Petters Way, is the old public toilet block that was demolished when Petters House was built in 1987. 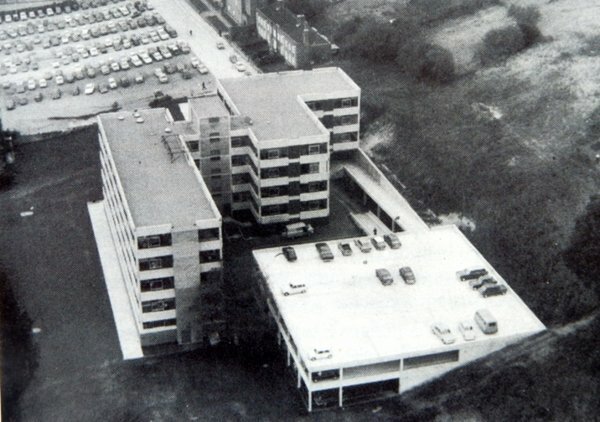 An aerial view of the car park, with Petters Way at right, photographed in 1953. 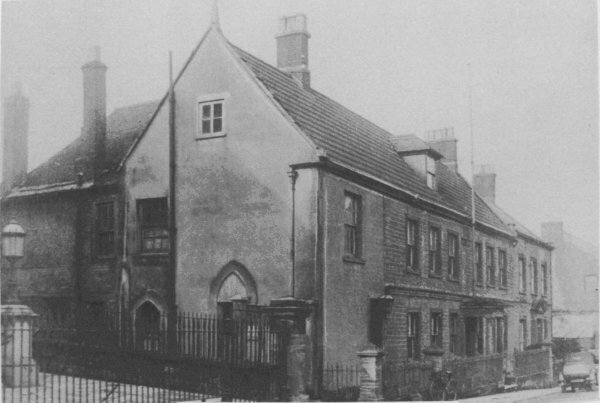 The Newnam Hall and Schools and the Baptist Church in South Street before the construction of Petters Way alongside. The man is standing by the entrance to the track that led to orchards. Photographed about 1912. South Street House - the former home of glove manufacturer William Hooper Masters and later Dr Ptolemy Colmer's house and surgery at 79 South Street. 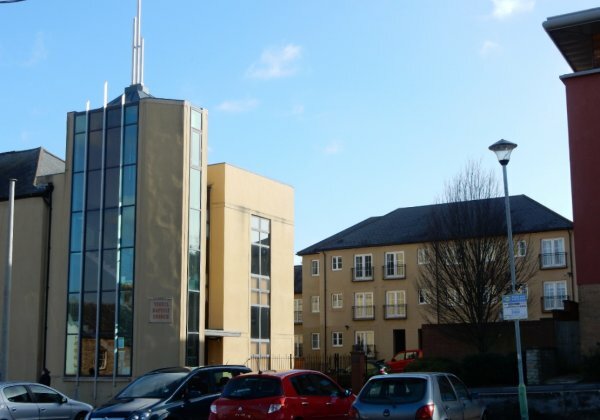 The site is now occupied by the entrance to Petters Way and the Petters Way car park adjoining South Street. The railings at left belong to the Baptist Church and at the time of this photograph a narrow lane ran between Dr Colmer's house and the church, leading originally to extensive orchards. 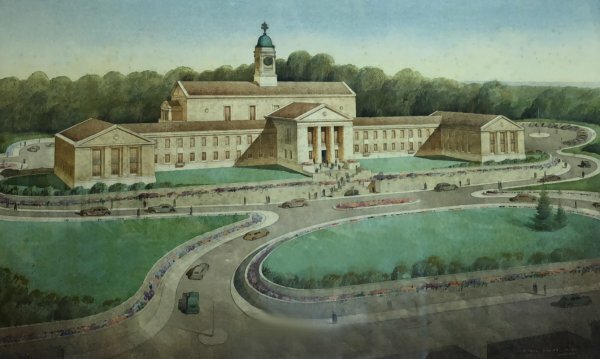 The design for Yeovil's new 1930's Civic Centre by Mr R Cecil Howitt of Mansfield, Notts., from a watercolour by Cyril Fairy. It would appear that Hendford runs along the bottom of the painting and Flowers House, Hendford Manor and all the buildings in between were to be demolished to create the open greenspace in front of the imposing civic centre. 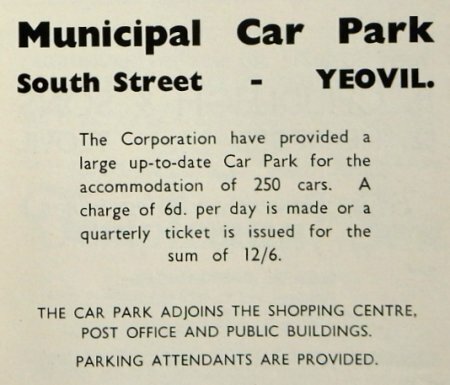 South Street Car Park charges as advertised in the 1950 Yeovil Guide. 6d per day is about 75p at today's value. 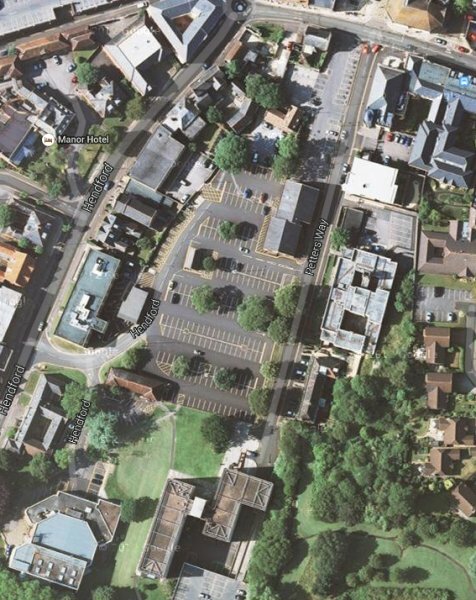 A current aerial image, 'borrowed' from Google, shows the extended car park with its access off Hendford at centre left. Petters House is seen at top right of the car park, the old law courts are off to the right, Maltravers House is at bottom centre and the Octagon is at bottom left. Looking across South Street to Petters Way from King George Street in the 1960s. Notice the market stalls temporarily in the car park. 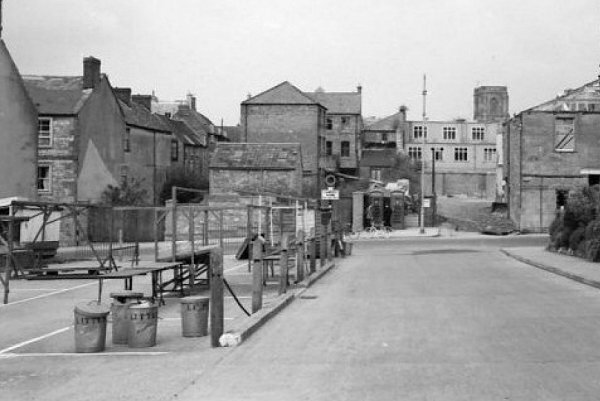 Market stalls left in-situ in what is now the Petters Way car park. Photographed in the 1960's from Petters Way looking towards South Street. South Street House would originally have stretched right across this photograph. 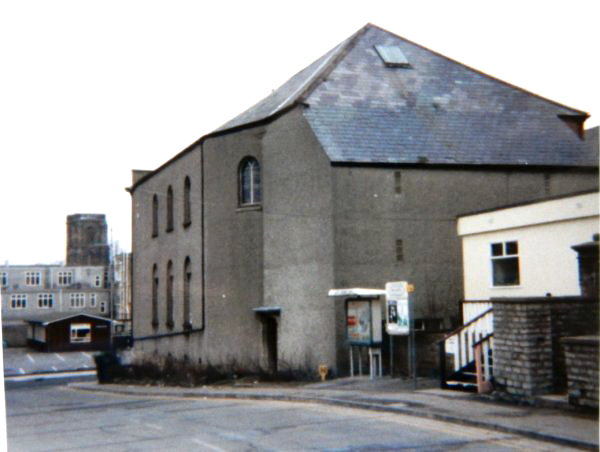 An interesting shot of the rear of the Baptist Chapel photographed in 1983 from the end of Petters Way. At extreme right the wooden shed, approached up a short flight of wooden steps, was a town centre presence office of the Council's Housing Department. 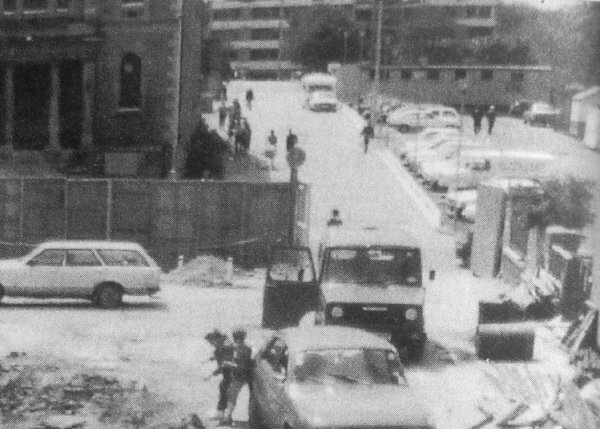 At far left is seen the 'shed' in the car park behind the municipal buildings of King George Street. At the end closest to the photographer was the Children's Library and at the far end, next to Borough Arcade, was my office for several years in the 1980s. 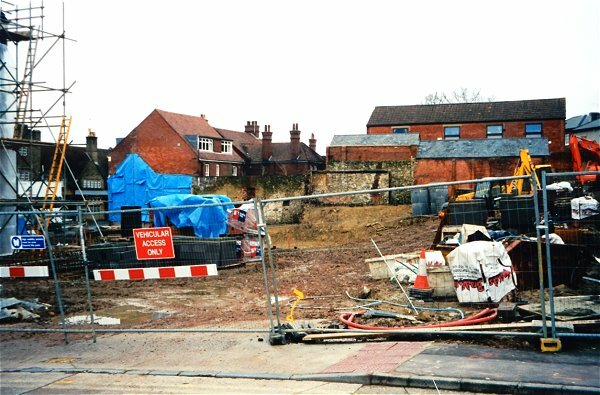 Petters Way in 1985 during the groundworks for the new library in the foreground. At top right the block of public toilets would be shortly demolished (see next photo) for the Petters House development and the market stall sheds, seen at extreme top right, would disappear when the market was moved to Middle Street. 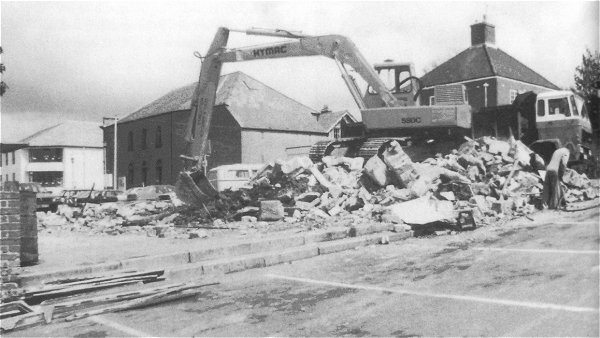 The demolition of the public toilets in 1987 seen from the main Petters Way car park. At extreme left is the new library building and behind the digger arm is the Baptist chapel. 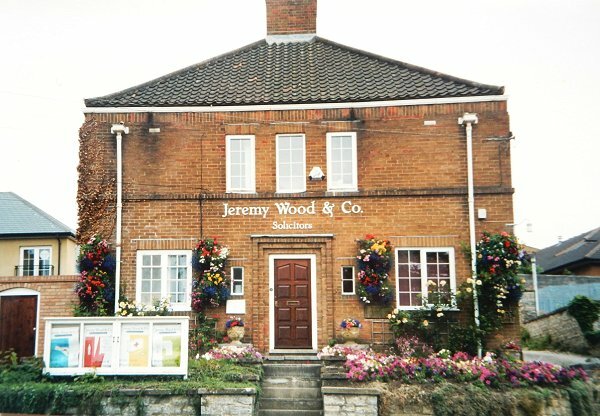 Fielding House, Jeremy Wood & Co's offices in Petters Way. Photographed in 2003. 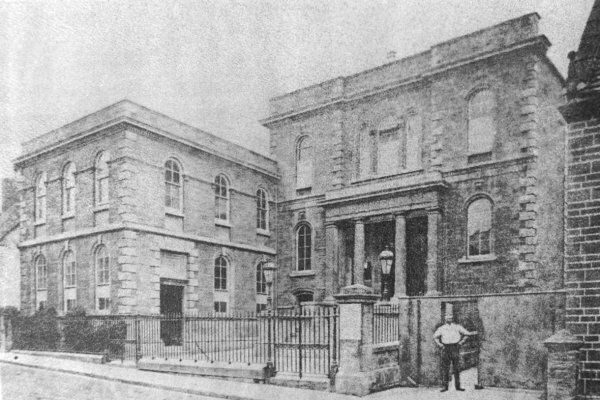 This building stood between the Baptist chapel and the Law Courts and faced the car park. 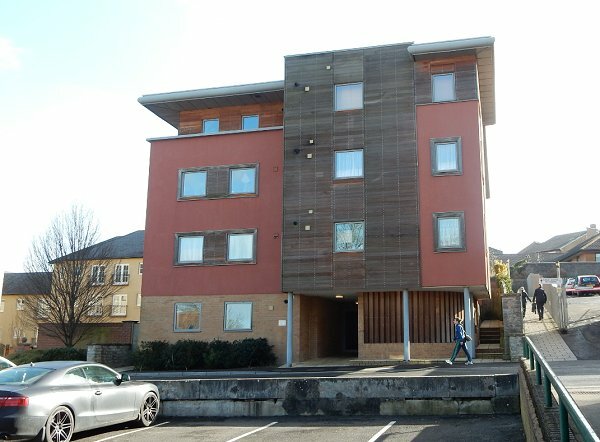 It was demolished and the site is now, unsurprisingly, flats. .... and now, instead of the lovely Fielding House, we have this. Photographed in 2015. 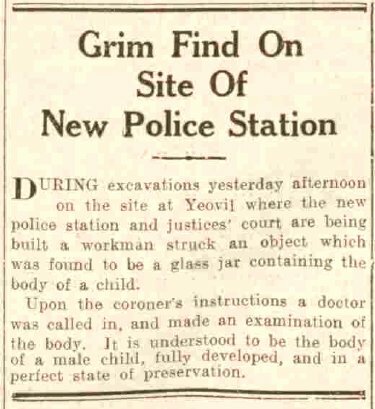 A brief article from the Western Gazette's edition of 17 November 1936. 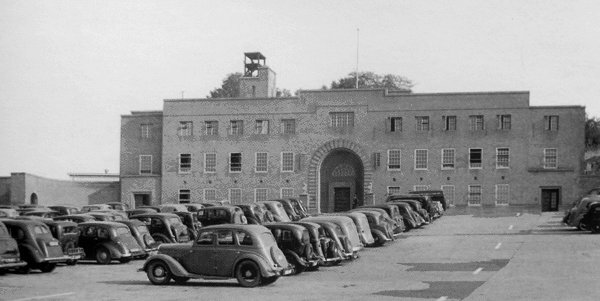 The Yeovil Law Courts and Police Station in Petters Way opened in 1938. 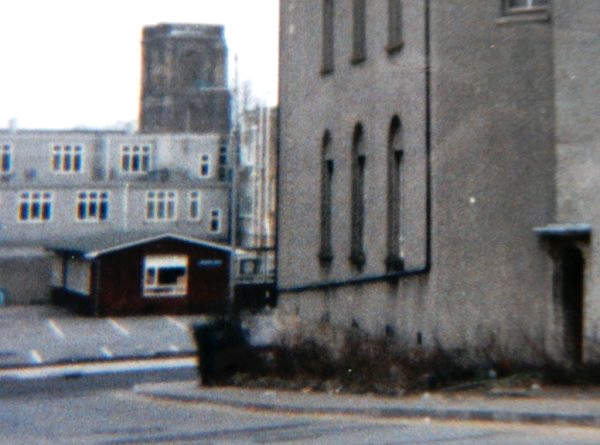 This photograph was taken in 1955 and the air raid siren housing still surmounts the building. Pretty much the same view in 1965 although this photograph does emphasise the slope of the car park built on the former orchards. Note also that the air raid siren housing had been removed by this time. 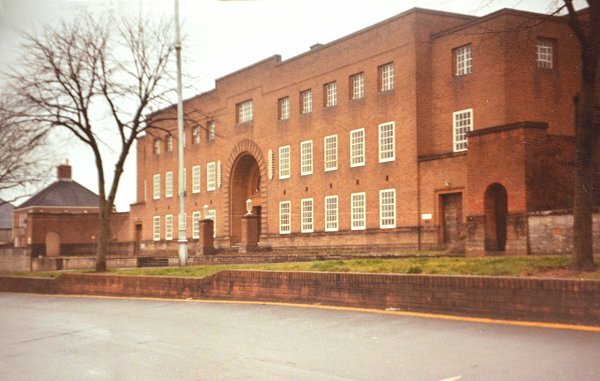 The Yeovil Law Courts in Petters Way photographed in 1983. .... and photographed in 2017. Maltravers House, built in 1969 and photographed here in the early 1970s. .... and seen from the air in 1970. 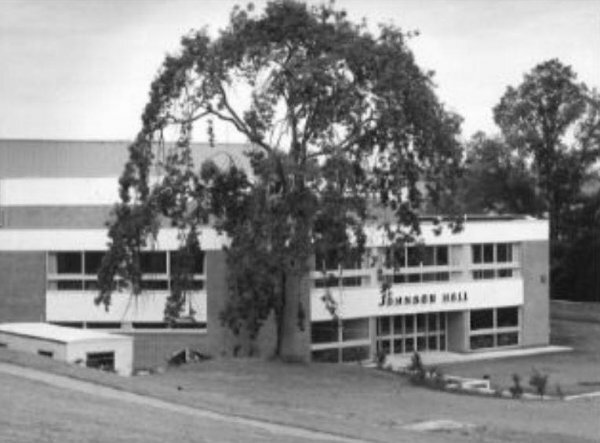 Johnson Hall, today's Octagon Theatre, opened in 1974. Photographed in the late 1970s. .... and seen from the grass bank by the car park around the same time.